Whether you’re planning a big trip with friend or family or a cross-town move, Van Rental Center (VRC) offers a host of outstanding options for customers in the Greater Los Angeles Area and beyond. Our fleet includes cargo vans and 7, 8, 11, 12, and 15 passenger vans from such manufacturers as Ford, General Motors, and Toyota. Each vehicle in our fleet is carefully maintained for maximum reliability and comfort. That’s not all, our fleet includes the very best in high roof passenger vans. At VRC, we strive to provide all of our highly valued customers with the very best in value. We understand that you need your transportation dollar to go as far as possible, and we’ll do everything we can to ensure that you get the most out of your investment with us. Just as important, we are here to provide the kind of attentive and friendly customer service that takes your specific needs into account – and that includes hiring a professional driver to chauffeur you and a group around town! To take advantage of the best vans on the road with the finest in customer service, please call us at the number on this page or reach out to us via e-mail through our contact page. Want the van delivered direclty to you!? We can do that! 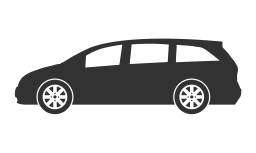 We have one of the largest selections of 7-15 seater passenger vans for any occasion! Hire one of our licensed, Experinced and friendly drivers to chauffeur your group around town! Great service, great prices, friendly attitudes. This is the best van rental company in all of Southern California, PERIOD!! Don't waste your time shopping around, Van rental has you covered. Alex and Amir were all very helpful! "Great experience. I've been using Van Rental Center every time I take a large crew to Vegas. The van was clean and everything went without a hitch. Amir was extremely pleasant when I dropped off the van on return. Great guy! I highly recommend." "This place is great! I was able to rent a 15 passenger van on very short notice (less than 1 hour). Their associate Sammy was very helpful and courteous. He saved our trip! We also needed to keep the van for an extra day and it was no problem. They even have us a discounted rate for the extra day! Overall we are very happy with this company. If you need a big van to haul all your people around, this is the place to come!"